"I was first struck by the aesthetic beauty of Karissa Andersen's ceramic vessels, the attention to surface and the color. The presence of the artist's hand reassured the viewer that these organic forms are purposeful assertions of the artist's vision. I was then further impressed by the clarity of thinking expressed in the artist's writing. To explore the complex ideas that surround the psychology and cultural expectations of the body through ceramics seems both courageous and poetic. 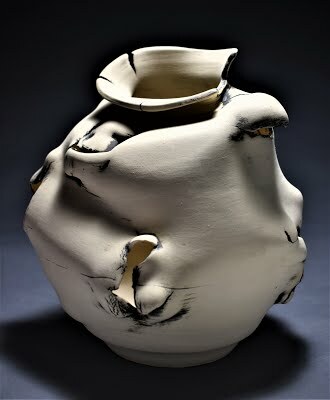 These ceramic pieces are objects of excellent craft and depth of conceptual purpose." 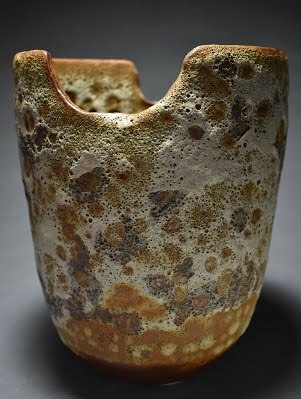 "The series of ceramic vessels that I have put together are a result of my experimentation with clay as a material, as well as with texture.... I am also largely influenced by the human body and its many shapes and forms."